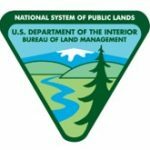 Idaho Firewise will be partnering with the Bureau of Land Management (BLM) in disseminating a series of Public Service Announcements (PSAs) developed in 2016 throughout Idaho and other areas of the Northwest. The PSAs feature messages designed to build the “Don’t Dump Idaho” education campaign. This Request for Proposal (RFP) is to solicit proposals for the distribution of these PSAs via television, radio and the internet from mid to late July through mid October, 2017.